In posh Paradise Valley Arizona, with a stunning backdrop of the Camelback and Mummy Mountains, discover Azure by Shea Signature®, a new home community, a private, guard-gated enclave of sixty-six spectacular residences. Adjacent to a proposed world class resort and The Palmeraie Shops, Azure will be within walking distance to high-end, specialty boutiques and over 25 dining destinations. 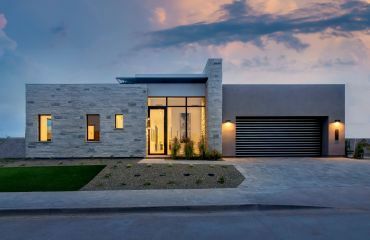 Designed in collaboration with award-winning PHX Architecture, the new luxury homes of Azure feature a unique balance of modern and transitional architecture, with up to five bedrooms and optional detached casitas and garages on pool-sized homesites. Built-in Gaggenau® appliances, wide-plank wood flooring, modern gas fireplaces, and most with lower levels and elevators are among the many included upscale features of these floorplans. With three distinctive exterior styles, seven new home designs, a variety of structural options, and the opportunity to personalize your interior finishes, Azure homes have the feel of custom estates.